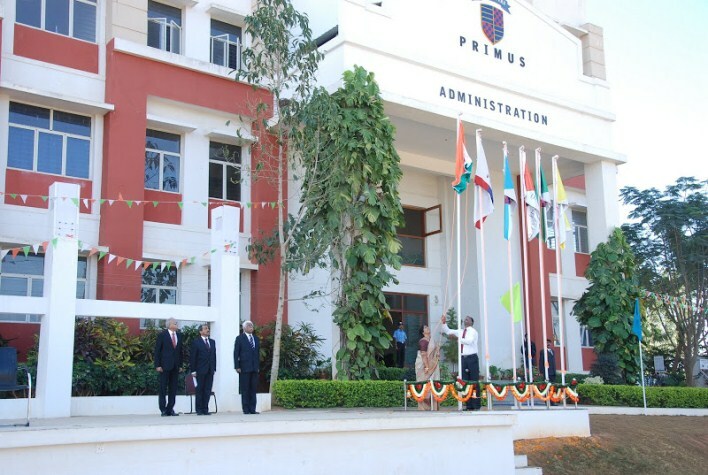 Primus Public School is one of the best known public schools in Bangalore. This school believes in bringing out the best in students through multiple work culture approach so that each of them gets to know different facets of life and inculcate them in developing new skills. At Primus, the teachers do extensive work with their students even beyond the syllabus to get the best out of them. A school with world class facilities in terms of administration and infrastructure, Primus Public School has successful carved a niche for itself as one of the best schools in the city. The environment is full of positively and the school adheres to “no fear schooling” where every students is given ample scope and opportunities to voice their opinions. Primus public school is proud to have a vibrant intellectual community both in terms of the teachers and the students who make Primus a success in more ways than one. Along with this, it also has a committed management which works hard towards providing the best possible education empowered with a vision through reflection, collaboration and decisive action. A confluence of wisdom, knowledge and innovation is what Primus Public School aims to achieve in its endeavor to provide quality education to its students.